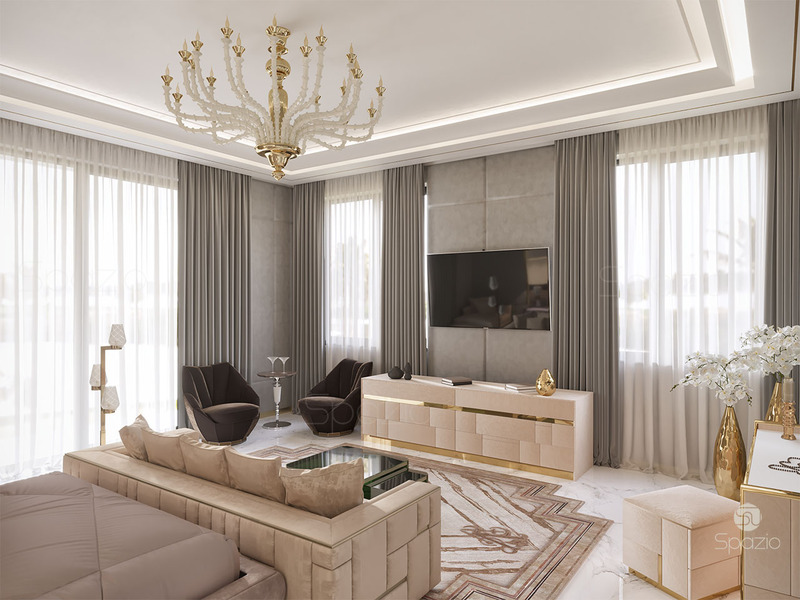 Beautiful, comfortable and functional interior design of a master bedroom is a competent combination of non-trivial planning solutions, traditional decorative techniques and the latest style trends of 2019 year in UAE. 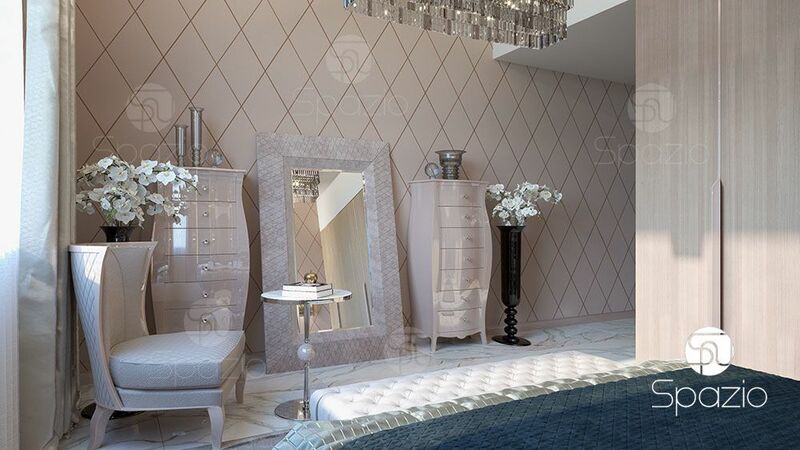 As one of the leading Dubai bedroom design companies Spazio aims to create only perfect interior solutions. These skills are perfectly mastered by designers of Spazio design company. 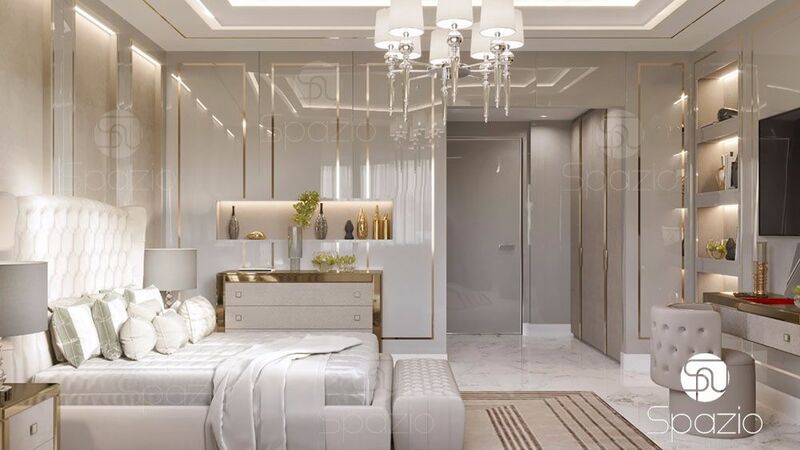 Working on each project, we apply various techniques that help to maximize the use of available space and accurately realize the wishes of the client. This allows us to create a stylish and non-trivial interior design of the bedroom, which, by its very nature, pleases its owner. 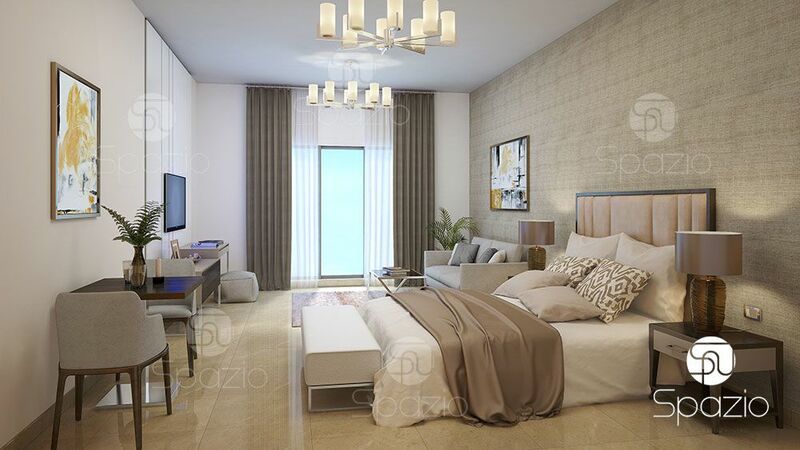 Our creative specialists created dozens large and small bedrooms. Our experience allows us to carry out the project on time and at a high level of quality. 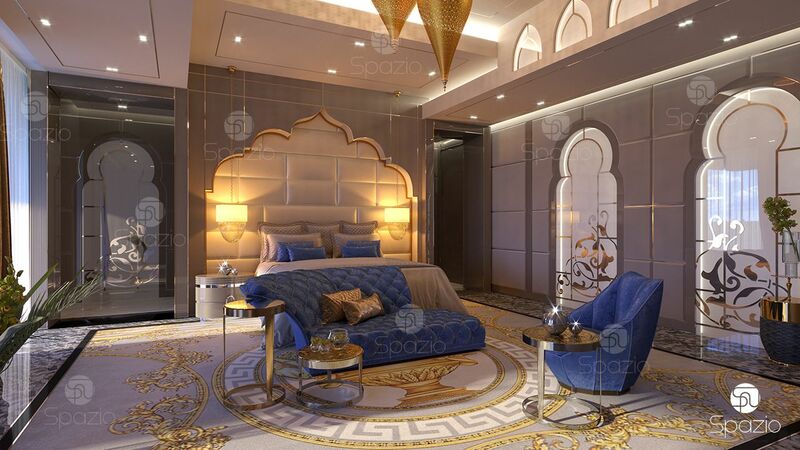 Look at the images of bedroom interior designs in our portfolio. We offer turnkey interior design services. 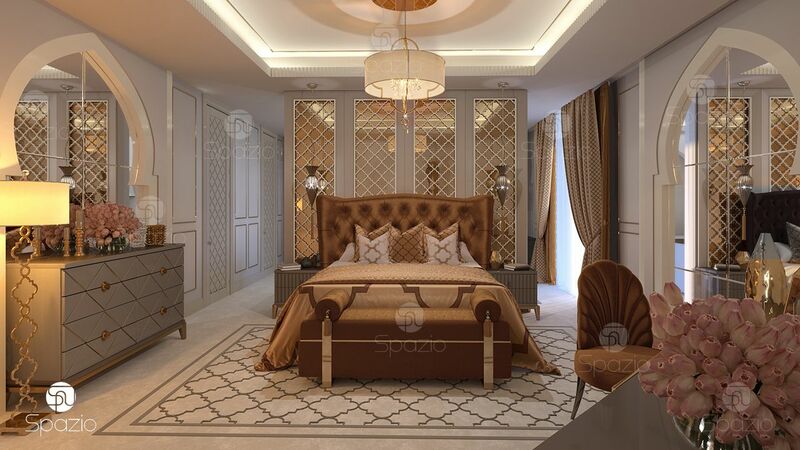 Our specialists are ready to create a perfect interior design concept for your bedroom. Architects and draftsman will make a complete set of planning documents. Our fit out teams will execute it. Designers and project managers will select and full with furniture. All kinds of work are carried out under the strict control of the chief architect. We have teamed up in our team of designers from western and eastern Europe. 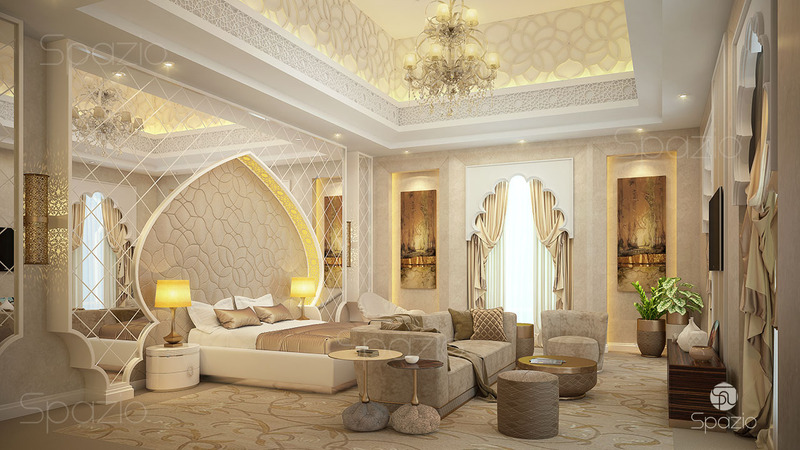 Each of them has its own authentic taste for the style of a bedroom interior, as well as a great experience in Dubai. We offer furniture and decor to order, it's original and cheaper, because we have our own production. The best solution for a modern bedroom design. The interior design of the house and the bedroom from a to z. We come up with a concept, develop details, prepare a complete project. Finishing work and filling furniture are also available. The bedroom is a place inaccessible to outsiders. That is why the interior here is the most chambered. 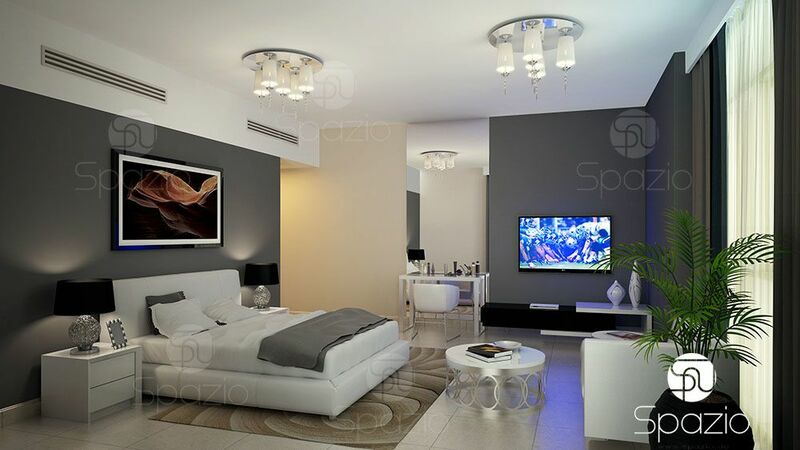 The style of the bedroom interior can differ significantly from other rooms. 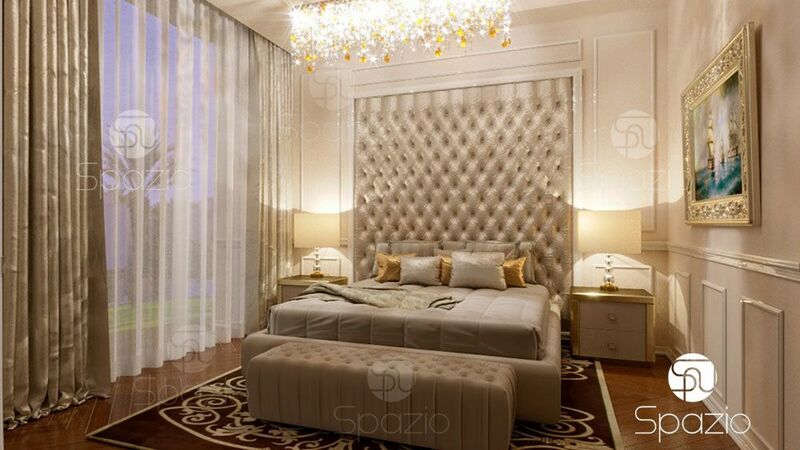 The room should maximally meet the personal taste of the resident. Here you can realize personal preferences and make everything very convenient. 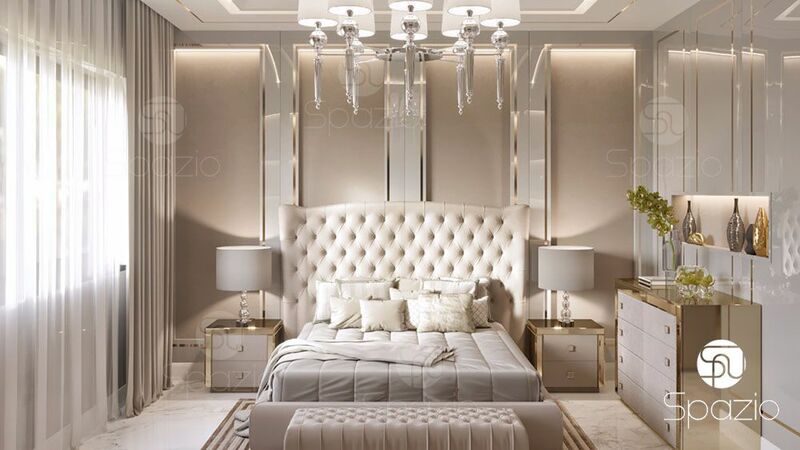 A bedroom in any style: luxury classic, mediterranean, modern american, minimalism, country, art deco, vintage, eco, complex eclecticism is possible in the Spazio bedroom design company. Each style has its own characteristics, color palette, design. 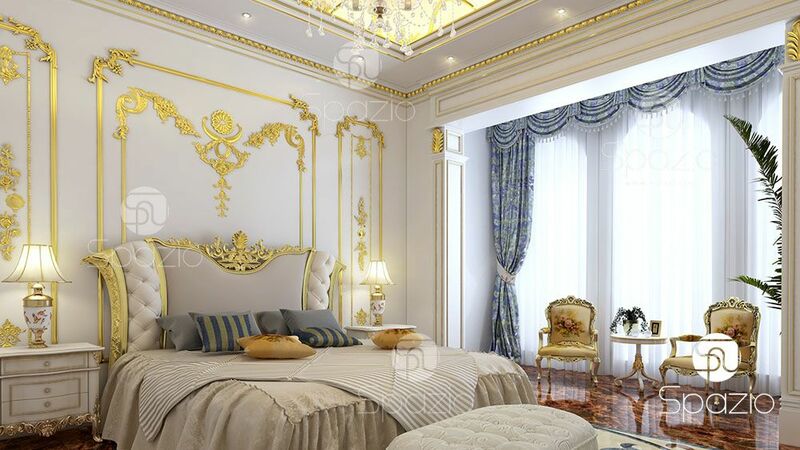 We will help you choose the style of the bedroom interior exactly for your taste. 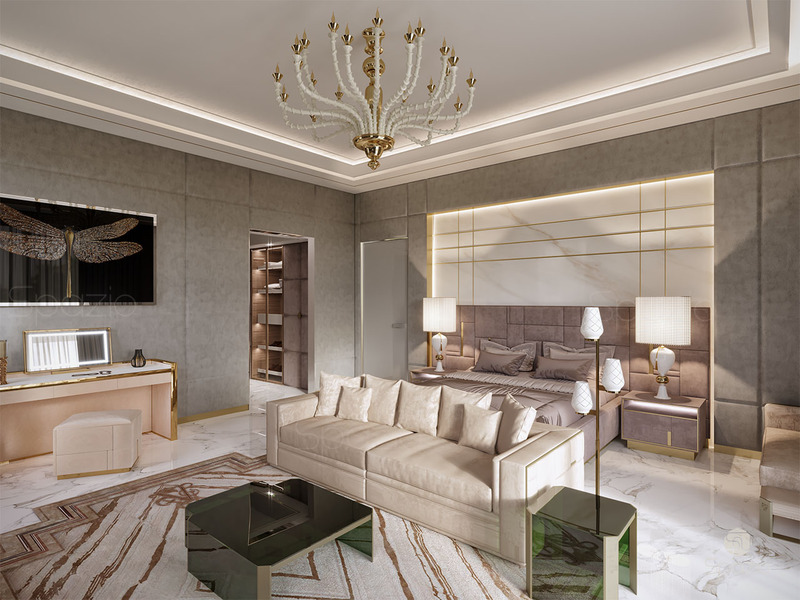 Dream room will turn for you into one of the favorite zones of the house, where nothing distracts from rest, creates all the conditions for relaxation and restoration of vitality. Our designers are full of ideas, which they draw from modern trends, the latest collections and their creativity. We offer our clients the best collections of bedroom furniture of famous brands, and we also develop unique models of furniture and decor. This is a unique furniture and decor elements, created by us personally for you. We have our own factory and also interact with the best local craftsmen, so our prices are as pleasant as our original design.